While some tech pundits expected a full-blown recall, Steve Jobs took the stage to do just the opposite. Apple announced in a surprise press conference this morning that all iPhone 4 owners will be given a free case as long as they bought their device before September 30th. And since Apple can’t build its own Bumper cases fast enough to meet consumer demands, users will be given the option to choose from a selection of 3rd party cases on Apple.com. Also, anyone who bought a Bumper already will be fully refunded; however, the same doesn’t policy doesn’t apply for previously purchased third-party cases. Finally, if a free case isn’t enough to alleviate your dissatisfaction with the latest iPhone, Apple says that you can return your iPhone 4 for a full refund within 30 days without a restocking fee as long as it’s unharmed. Steve Jobs spent much of the press conference defending the iPhone 4, saying it was “perhaps the best product we’ve ever made at Apple.” He started right off the bat by pointing out that all smart phones have weak antenna issues and claimed that it is possible to replicate the “death grip” on the HTC Droid Eris, Samsung Omnia II, and BlackBerry Bold 9700. 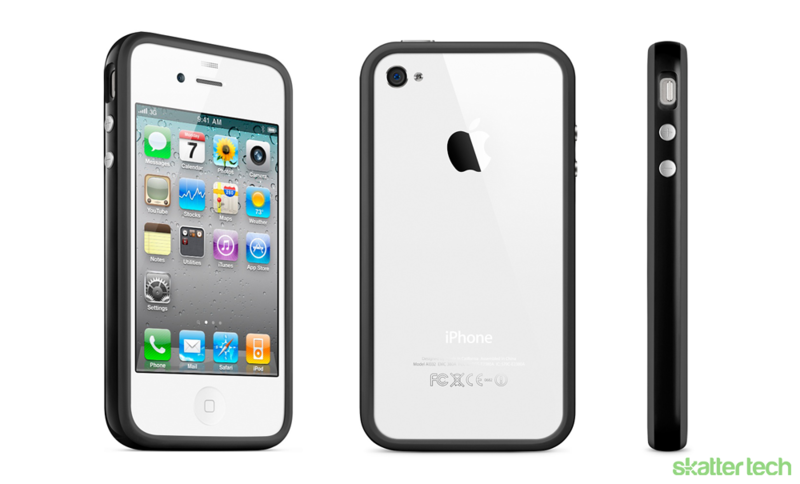 Jobs also claimed that only about .55% of iPhone 4 owners have called AppleCare’s support line regarding antenna issues. He also noted an AT&T report which claims that only 1.7% of customers have returned their new iPhones, a much lower number than the 6% that returned the iPhone 3GS. Jobs did admit that the iPhone 4 drops more calls than the 3GS, but says it’s only a little less than one additional call per hundred, or less than 1% more. He added that his “pet theory” about why there are more dropped calls is because only about 20% of customers left the store with cases as opposed to 80% (by Apple’s numbers) for the iPhone 3GS. That’s mainly because older cases don’t fit the iPhone 4 while the iPhone 3GS retained the same iPhone 3G dimensions. While Jobs may have acknowledged that the iPhone 4 isn’t perfect and said that he was deeply sorry for customers affected by reception problems, he stopped short of admitting that there is a fundamental design flaw. In addition, when asked if he would be willing to make an apology to investors, Jobs said that he didn’t think that he owed them one because Apple has heard so many good things from customers and that Apple is “doing a lot to help them with any issues they’re seeing.” This is bound to rub some investors the wrong way, seeing as Apple stock has dropped 7% since the iPhone 4’s release, and Consumer Report has refused to recommend the new iPhone because of the “death grip,” calling on Apple to fix this problem for consumers. 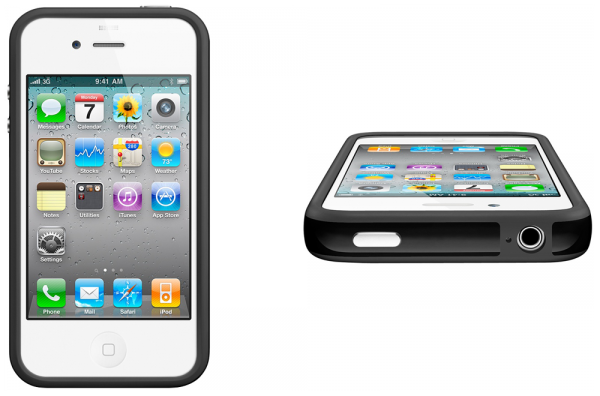 It is true that these cases will relieve the reception problem for the iPhone 4 and giving them to customers for free is a great move that will make many Apple fans happy. However, refusing to truly acknowledge the problem or even to apologize for it after holding an emergency press conference is a bit strange. In my opinion, it comes across as being a bit arrogant, and it would have been nice to see just a tad more humility in Cupertino this morning. Aside from that, Apple did announce that the white iPhone 4 would finally become available on July 30th, just two weeks away. Apple also released a minor software update, iOS 4.0.1, which will properly display signal strength for the nearly 3 million iPhone 4 customers.